National Lampoon's Christmas Vacation - Bah Humbug! There are few movies as deplorable as National Lampoon's Christmas Vacation. 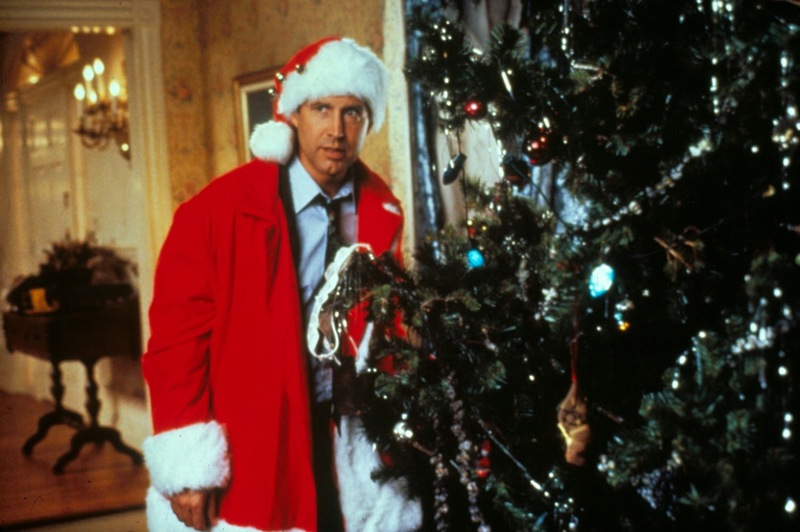 An angry, leering man (Chevy Chase) hates his family and commits to spending a large amount of money he hopes to receive as a Christmas bonus on a swimming pool. When a large cheque fails to arrive, Christmas is ruined for him - what says Yuletide more than spending money you don't have on luxuries for yourself? The festive season is now in turmoil and, of course, the looming fiscal mess is not our protagonist's fault - rather, in between smashing up decorations, our hero takes the opportunity to blame the woes of his selfishness entirely at his boss's feet. Accidentally, this supposedly wholesome family film captures the zeitgeist of the putrid consumerist avarice of 80s America with surprising aplomb. Its a mean-spirited and cruel movie - even if this was clearly not the intention. A redemptive finale rings hollow - a platitude is used as a throwaway line before another physical punchline can be fed to us. And, unfortunately, it is not the poor characterisation of the movie, or its complete disregard for a cohesive narrative, which serves as its weak point - the humour here is so half-assed it would be unthinkable to imagine John Hughes' script managed to make it to the point of a second draft. National Lampoon's Christmas Vacation is a movie which can be recommended exclusively to those who enjoy Christmas decorations being destroyed or giant trees smashing through glass windows. If you prefer heart, soul, spirit or joy in your movies - look elsewhere.